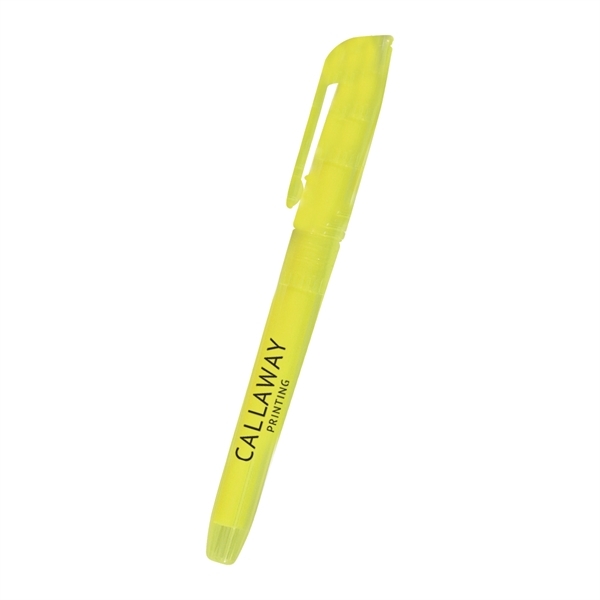 Add a streak of color to any promotional event with these pocket highlighters. These handy promos are perfect for teacher, students, corporate professionals and more and feature a chisel tip and fade resistant ink. Organize class notes, highlight important academic text or annotate corporate briefs with the right tool for streamlined work. Choose your ink and highlighter color and add your organization's name, logo and advertising message to create the perfect promo for almost any event or occasion. Imprint Size:1 1/4" x 1/2"